I was tempted to head north and revisit the lovely Hamlet Church at Duddenhoe End, but remembering the hills from my last visit I took the shorter, wilder option through narrow lanes to Langley. There are two villages in the parish, Langley Upper Green and Langley Lower Green, and in Upper Green there is this baptist chapel. Locked. 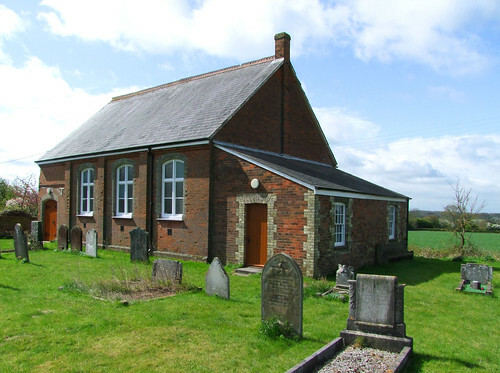 A dear little church of the late 19th Century in a prominent position among cottages on the side of the green. It has a packed graveyard and an iron fence. You get the impression that most people around these parts were Baptists in the 19th Century. Not far off, sulking on the edge of the village, and also famously locked, most unusally for this part of the country, is the parish church.